In the following chart features at Blogger (blogspot.com) andWordpress.com are compared. These are the two main contenders for free blog hosting. Features which are clearly better at either BlogSpot or Wordpress have been highlighted. Widgets are listed in another summary table after the features list. If you have your own website with PHP/MySQL support, you can download and use WordPress with no restrictions (get it here). Themes and customization New: Blogger has introduced a collection of easy-to-customize templates (more info). Earlier templates are not available in the new collection, but you can still edit them. No template editing. Style sheet editing is only available as a paid upgrade. Many of the 90+ themes let you upload a header image. Some have additional customization options. — or any type of script. No scripts allowed. The admin dashboard shows 2 days of statsand daily, weekly and monthly graphs. Import Only from another BlogSpot blog. Import from Blogger, Yahoo! 360, Type·Pad, MovabIe·Type, Posterous, Vox.com, Live·JournaI or another WordPress blog. Image storage 1 Gigabyte. There is no interface to browse through the images unless you sign up forPicasa Web Albums. 3 Gigabytes. Paid upgrades are available to add more space. You can also upload.ppt, .doc, .odt and .pdffiles (more file types with an upgrade). Galleries You can use Picasa Web Albums. Simply add the tag [gallery] to any post or page (more info). Static pages Blogger allows up to 10 static pages to be created (more info). Create posts or 'pages'. Static pages are listed in separate menus. Optional excerpts Expandable post summaries (more info). Some WP themes allow unique text. Others depend on a "more" tag. Post by email Submit your posts by email. You can receive new posts by email too (helpful for team blogs). Submit your posts by email. Images can be attached (more info). to any post or page. Domain names Free domain name mapping (more info). A paid upgrade is required to map a custom domain. Private blogs You can restrict access to invited Google account holders. You can restrict access to 35 invited Wordpress account holders (unlimited with a paid upgrade). Alternatively, individual posts can be password protected or Private. Team blogs Administrators and non-administrators only. Administrator, Editors, Authors and Contributors. Comments Visual confirmation and moderation options, but no editing of comments. Moderation, comment editing and Akismet spam protection. Widgets See the next table. Edit pages You can add up to 10 stand-alone pages. Add a Gadget Software applications that do cool things. There's an extensive menu in the sidebar. Followers Displays a list of users who follow your blog. Blog List Show off what you read with a blogroll of your favourite blogs. Subscription Links Let your readers easily subscribe to your blog with popular feed readers. Slideshow Add a slideshow of your photos to your blog. Video Bar Display clips from YouTube and Google Video for your readers to watch without leaving the page. List Add a list of your favourite books, films or anything you like. Link List Add a collection of your favourite sites, blogs or web pages. [for the sidebar] Add a picture from your computer or from somewhere else on the web. Text Add some words to your blog - like a welcome message - with our rich text editor. AdSense Earn revenue by displaying relevant ads on your blog. Feed Add content from a site feed to your blog. Labels [categories] Show all the labels of posts in your blog. Logo Choose from a variety of Blogger logos to add to your page. Page Header Display your blog's title and description. Blog Archive Display links to older posts. In addition, WordPress shortcodes are widgets for individual posts. Blogger has introduced new, easy-to-customize templates. Earlier templates can be modified, or you can install a third party theme. Make sure that third party themes have the latest layout tags. Although the Wordpress.com collection of 90+ themes sounds like a lot, options for customization are limited unless you pay for an upgrade that allows stylesheet editing. Wordpress.com uses a scheme called Typekit for changing fonts, while Blogger offers a straightforward method to choose between standard fonts. In 2007, I wanted to find out what was on offer in terms of free blog hosting. Before that, Blogger was looking stale, and Wordpress.com didn't have nearly as many themes or features as it does now. I chose Blogger, and this was my first post. If Wordpress.com allowed stylesheet editing without having to pay, and visitor statscomparable to the tracker scripts you can obtain for free, my choice would have been Wordpress.com for sure. methodology, you can beat them at their own game. The attacker first identifies the various domain names that he's interested in exploiting. what, if any, security mechanisms might exist to thwart the attack. might provide unrestricted virtual private network (VPN) access to the larger target. listening on each system, and the operating system that is installed on each host. to identify potential security mechanisms between the attacker and the target. second phase of the attack: information enumeration. that can be used to perform DNS queries and zone transfers. reverse DNS searches, and traceroutes. ScanLine Windows NT-based port scanner. What is your application's footprint on the operating system? hacked, will that enable the attacker to hack your application? packets or flood attacks stop the service, or consume memory or CPU cycles? unauthenticated users from walking in the front door? possible from the targeted system. vulnerability databases such as SecurityFocus to look for possible exploits. or BACKUP that might have easily guessed passwords. banner grabbing and port scanning, among other things. Windows NT 4.0, Windows 2000, or Windows XP. and Deloitte & Touche) and hackers alike. they need to learn more about systems. is required to enumerate this information? personally identified information (PII) that might compromise privacy concerns? suppressed or modified by the system administrator? social engineering or by using a brute force attack. registration or the company's Web site and directly contact an employee by phone. it in, and I will watch to make sure that I see them on the network. to xYzA1G24# so that it will be less likely to be cracked in the future. successful against an unmonitored host. characters, their computer names will appear as blank in the audit logs. NetBIOS auditing tool Brute force password guessing tool. Is failed logon auditing enabled by default? location? What location information can you obtain? DNS name or IP address? Computer name? Gateway address or specific host address? Does this protocol need to be turned on by default? Batch files containing hardcoded user names and passwords are hacker's gold. Registry keys containing application or user passwords are also worthy of a peek. user's system and giving it the same name as a frequently used piece of software. Are users able to view sensitive information? Are passwords for the application stored in a secure manner? Are passwords stored in clear text in batch files? can be used to launch trojans with local system privileges? under higher levels of privileges? LC3 or John the Ripper and cracked. account for a domain that they had yet to hack. access to all computers in the network, having only initially compromised one computer. Lsadump2 Tool that exposes the contents of the LSA in clear text. John the Ripper Password cracking tool for several operating systems. Are logs generated when the password files are accessed? system processes in an attempt to access password data? levels of permission than the local administrator accounts? the password for administrator accounts on other systems? Are users encouraged to select complex passwords? the system remotely (with or without special credentials). code on the "protected" computer. or mail servers to untrusted computers on the Internet. Netcat Hacker's Swiss army knife. Can be used to "shovel shells" to remote systems. may be running on the system? Can the system detect devices or services that the attacker has created? traffic from originating from each host? to focus their attentions on other areas of the target company. administrator access, it may be nearly impossible to flush him from the network. correlate attack sequences to suggest that an automated attack is in process? accounts" haven't been added to administrative groups? methodologies across multiple platforms and devices. McClure detail hacker techniques specific to Microsoft platforms. Google gave the first demonstration of its Chrome operating system today, at the same time opening the source code to the public. The company highlighted features that have grown out of what vice president of product management Sundar Pichai called "a fundamentally different model of computing." 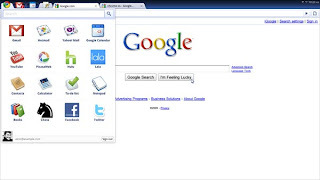 Unlike other operating systems, which merely incorporate the Internet, Chrome is completely focused on it. The Chrome OS is based so aggressively on the Internet that devices running it will not even have hard drives, Pichai said, emphasizing that "every app is a Web app." All data will be stored in the cloud, and every application will be accessed through the Chrome browser. Because of this, he added, users will never have to install software or manage updates on the device. The user interface closely resembles the Chrome browser. When the user opens applications, they appear as tabbed windows across the top of the screen. Users can stick their favorite applications to the desktop with one click, creating permanent tabs for them. Pichai coyly demonstrated the way the Chrome OS can deal with competitors' file formats. He inserted a USB drive into a laptop running Chrome OS, launching a window that showed that the device contained several Microsoft Excel files. When he clicked on one of the files, the system automatically pulled up the Windows Live Web-based version of Excel, opening the file inside. "It turns out that Microsoft launched a killer app for Chrome OS," Pichai said, adding that anyone who writes a Web application is writing an application for Chrome by default. The effect, Pichai hopes, is "speed, simplicity, and security." Today's version of the operating system can boot up in seven seconds and open a Web application in an additional three, he said. Google engineers are working to make those times shorter. The implications of the Web-focused design were spelled out more fully by Matthew Papakipos, engineering director for Chrome OS. Part of the security scheme for Chrome is that it's hard to make any unauthorized changes to the system, he explained. The root filesystem, which stores the core files needed to make software run, is stored in a read-only format. On top of that, every time the user boots the machine, Chrome OS verifies cryptographic signatures that ensure that the operating system software is properly updated, and matches the build Google has approved. If the system fails any of these checks, the operating system automatically launches into a recovery procedure and reinstalls the correct version of Chrome, Papakipos said. Normally, reinstalling an operating system is a painful process because of the effect that has on the user's data, settings, and applications. In the case of Chrome, he noted, all of that information will remain unaffected in the cloud. Some data, such as Wi-Fi settings, is cached on the machine, but Papakipos said this is only to make the system work faster. The data is always synced back to the cloud. The vision, he added, is that a user could eventually get a new device, log in, and find everything running just as it had before, with all the settings still in place. Pichai said that Google plans to launch the first devices running Chrome OS by next year's holiday season. The operating system won't be available for download, however. Because of its tight integration between software and hardware, users will have to buy a Chrome device from one of Google's partners in order to use it. Google plans to give partners strict hardware requirements for the devices, specifying particular wireless cards and other components. Developers interested in testing and debugging the system could run it today in a virtual machine. Initially, Pichai said, Google is focused on "netbook-like devices" and expects that most of its target market will also have a desktop machine at home for applications that might not be available online or too processor-intensive to run, such as Photoshop. The Chrome OS is not intended for running without an Internet connection, but will have some offline capabilities. It will be able to display books or play media loaded from an external device, and it will be able to run Web applications that take advantage of the offline capabilities of new Web standards. Though Google's Chrome browser hasn't yet taken over the marketplace, the operating system could stand a better chance, says James Staten, a principal analyst at Forrester Research. While users have to choose to download and use the browser, they might get the operating system by default in devices such as netbooks, and Staten believes that Google is counting on this. The key will be to make users happy enough with Chrome that they keep the software. The strategy is a bit risky, Staten says, pointing out that though some netbook manufacturers have offered Linux-based operating systems by default, "there's been a heavy preference for swapping to Windows." Google hopes that users will want to use Google services such as Docs, Maps, and Gmail, and thus will like the integration that the Chrome operating system provides, he says. To have a truly successful Web operating system, Google will have to make sure that users are satisfied that their data is consistent, available, and secure, says Amin Vadaht, a professor of computer science at the University of California, San Diego, who was one of the researchers to first look into the merits and challenges of such a system. Google's resources and many data centers, combined with today's increasing bandwidth, make it easier to keep data available, but the problem hasn't been completely solved. As far as security in the cloud, Vadaht says, "with services like Gmail and Google Docs, Google has demonstrated that for certain applications, people and even companies are willing to give up a little control and potentially security in exchange for the convenience that its model provides." Though he thinks now is the right time to launch a commercial Web operating system, Vadaht adds that adoption won't happen overnight. He says Google is "laying the seeds now for something that could become widespread over the next three to five years. It was weekend, I went to my friend to discuss about the weekend planning. At that time he shown me project created by Microsoft it is "Microsoft Unleashes Natal Project (2009)". It was really good and new technology developed by MS. At that time I have pen drive and wants to copy some data from his PC to my pen-drive. He was using XP on a laptop provided by his organization, I actually scared about the virus Of course anti-virus software is there not to worry. but still now a days many home computers are mostly inflected so cant copy or attached any usb drive on the machine so what could be the option for.... Yes there is I am using Linux base slax Operating system from couple of months, it has many features like you do not need to install video audio software into OS. It already has freeware office,players required functions installed already. So boot your machine from pen drive and carry data without having any risk of virus. * BackTrack: A distribution of linux that is made with security in mind and is commonly used for cracking WEP passcodes and has live installs including USB and CD. * BeleniX: Customized OpenSolaris installs including live CD and live USB. * Billix: A multiboot distribution and system administration toolkit with the ability to install any of the included distributions. * Damn Small Linux: Knoppix derived small installation, uses a 2.4 kernel, with JWM as default user interface. * Devil-Linux: for service installations e.g. firewall/router, no graphical interface, can boot from CD or USB. * dyne:bolic: 100% free distribution for multimedia production, boots from CD and USB stick, with Xfce as default user interface. * Gentoo Gentoo USB Live. * Knoppix: Full live CD/USB based on Debian distro. * Knopperdisk: A small distribution based on Gentoo but designed to be run from USB pen drives or floppy disks. * MCNLive: Mandriva derived live CD, and live USB distribution. * MilaX: Small OpenSolaris live CD and live USB distribution. * MooLux: Live-USB Linux based on linux Slackware that can be installed to hard drive with focus on Internet applications, multimedia and programming tools. * NimbleX: A small (200mb) distribution based on Slackware. * OpenSolaris: The Distribution Constructor project has tools allowing users to build an install image. * OS-9 RTOS: The standard OS-9 Configuration Wizard for X86 creates bootable USB sticks. OS-9 5.0 for X86 will support the creation of bootable CDs. * Pentoo: Gentoo based live CD and live USB distribution focused on penetration testing and security assessment. * Puppy Linux Designed for easy install on USB. * RUNT Linux: Based on Slackware with a 2.4 kernel and Umsdos filesystem. Designed as a network testing tool for students at North Carolina State University. * Slax: Slackware based installation. * Sugar (desktop_environment) - Sugar on a Stick is a LiveUSB for children and learning. * Windows Preinstallation Environment: Freely available version of a live Windows installation, command-line only.